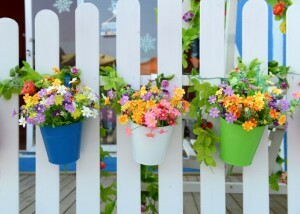 Hanging flower pots are a great way to decorate your fence for springtime! After a long winter like the one we just endured, you — along with everyone else in northern Virginia — are probably pretty excited to celebrate spring. With warm weather rolling in soon and with the calendar officially declaring it spring on Sunday, March 20th, it’s time to wear your springtime excitement on your sleeve! Or should we say — on your fence! If your fence is feeling a little bland after that mega-dreary winter, here are some ideas to spruce it up and make it look a little more lively as the seasons change. The first thing that comes to mind is to rejuvenate it with some TLC. A good wash, and maybe a fresh coat of paint (or stain for wood), and any other necessary maintenance is the first step to get your fence looking good. Once your fence is looking and feeling a little healthier, start thinking about ways to decorate it to celebrate spring. There are plenty of spring holidays to celebrate with your fence decoration. The two that come to mind immediately are St. Patrick’s Day (today!) and Easter (next Sunday, March 27th). While it might be a little late to decorate for St. Patrick’s Day this year, you can set your sights on Easter. 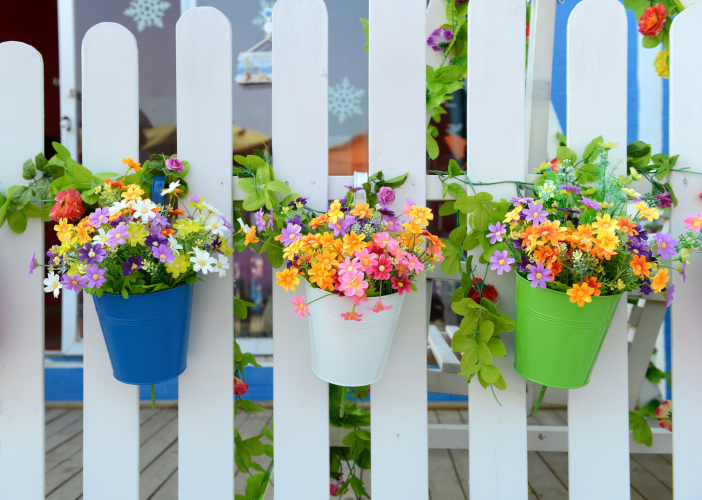 Hanging Easter baskets from fence posts or nestling some plastic eggs as part of your Easter egg hunt are just a couple of thoughts for holiday fence decoration. This list is clearly not exhaustive when it comes to fence decoration for spring. Sites like Pinterest are great sources of inspiration for DIY decorating, so that’s worth exploring, too, if you’re looking for more ideas. Need a Fence to Decorate? This entry was posted on Thursday, March 17th, 2016 at 7:14 pm. Both comments and pings are currently closed.